Like many, you’ve probably promised yourself that 2016 will be the year you finally stick to your New Year’s resolutions, eat healthily and get fit for good (not just the Caribbean season). However, as we enter the third week of January, aching muscles and chocolate cravings may mean your willpower is starting to wane – which is where the Sirtfood Diet comes in. The diet begins with a seven-day intensive detox programme after which you alter your everyday diet to include healthy sirtfoods without cutting out any of the foods you really love. Sirtfoods, also known as sirtuin activators, are a group of common plant foods that were recently discovered to switch on the body’s Silent Information Regulator proteins – also known as the ‘skinny gene’ pathways. The pathways are also activated by more traditional diet methods, such as fasting and exercise, and help the body to burn fat, increase muscle and improve overall health. Sirtfoods include more obviously healthy ingredients such as celery, kale, green tea and buckwheat but also a few surprises like red wine, cocoa, coffee, strawberries and walnuts meaning meal options are virtually endless and there’s no need to give up your favourite foods. Studies have shown that following the Sirtfood Diet can result in weight loss of up to seven pounds in seven days with participants reporting improved vitality and virtually no feelings of hunger. That sounds great, what’s the catch? The diet is easy to follow and the new book is a great tool for sticking to it at home. However, to help kick start your new regime KX will be offering its members the full seven-day detox programme at its in-house restaurant with meals including pan fried Chilean sea bass with caramelised chicory, rocket, capers and celery leaf salad, smoked salmon Sirt super salad and shitake and miso soup on offer. 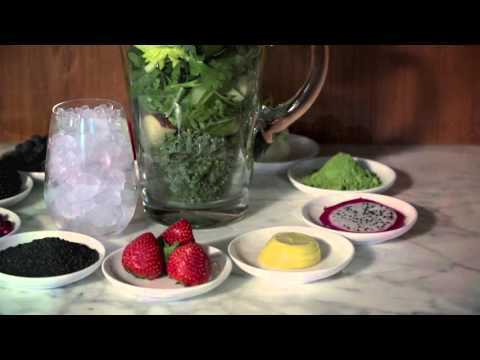 You can find out more about KX’s great nutrition programme in the video above. Once you’ve got into the swing of things, this simple and delicious Strawberry Buckwheat Tabbouleh recipe is ideal for trying yourself. Cook the buckwheat with the turmeric in a pan of boiling water for 3 minutes. Drain and keep to one side to cool. Finely chop the avocado, tomato, red onion, dates, capers and parsley and mix with the cool buckwheat. Slice the strawberries and gently mix into the salad with the oil and lemon juice. Serve on a bed of rocket. 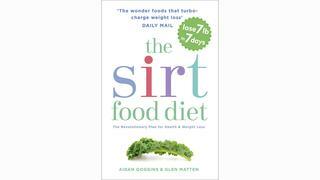 The Sirtfood Diet is available to buy now (£7.99, Yellow Kite). To find out more about KX membership call +44(0)207 584 5333 or email membership@kxlife.co.uk.